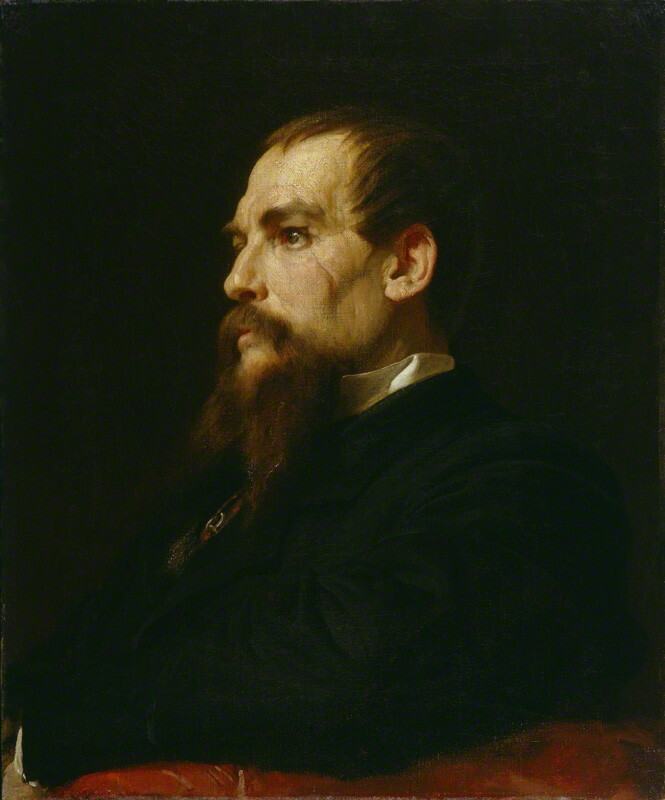 The explorer Richard Francis Burton (1821-1890) was best known for his travels in Africa, Asia and the Americas. His observations, which he recorded in numerous books and articles, provided a remarkable insight into the lives and habits of the people he encountered. There are five works by Burton in the Crewe collection, of which two are notable for their rarity. The first is a copy of First footsteps in East Africa, or an exploration of Harar (1856), an in depth account of the customs, practices and way of life of the peoples of East Africa. Richard Burton was a personal friend of Richard Monckton Milnes (Lord Houghton) and this copy includes a handwritten letter from Burton, addressed to ‘My dear Milnes’ explaining that he has found the ‘original copy’ of appendix 4. Appendix 4 describes the practice of female circumcision in the East Africa region. To circumvent the censor, it was translated into Latin, but the cautious publisher left it out of all but a few copies of the book. A website devoted to Burton and his work (burtoniana.org ) tells us with regard to appendix 4 that ‘Spink & son (1976) estimated that no more than 6 of these were printed, presumably for Burton’s personal use. Appendix IV contains 4 pages, on two leaves, numbered as pages 593-6. Most known copies with Appendix IV have only 1 leaf, that is two pages’. The Crewe collection copy has two printed pages of the appendix, the rest of it (another two pages) has been completed in manuscript by an unknown hand but is tempting to think it was completed by Burton himself. 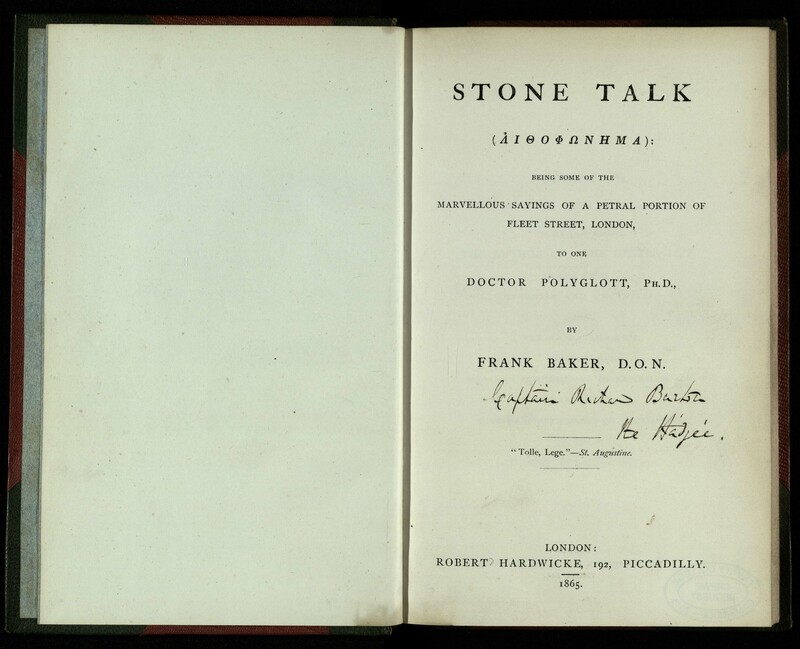 The second book is Stone Talk (1865). 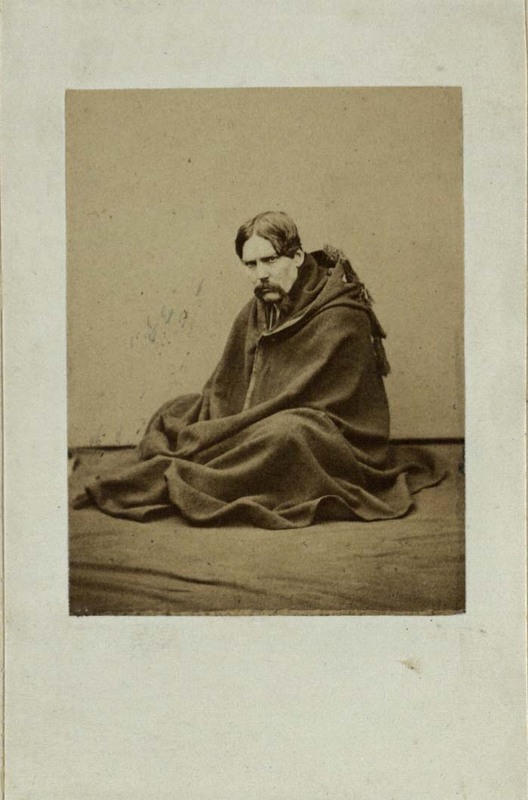 Burton’s lifestyle and attitude often brought him into conflict with the mores and values of the society of the day and by the 1860s his career in the army was faltering. It was these circumstances which gave rise to this bitter satire on Victorian society. The book was written in verse under the pseudonym Frank Baker. burtoniana.org tells us that ‘Stone Talk has been hard to find ever since it was first published. Burton … only had 200 copies printed. The majority of these (128) were for distribution to his friends and the press, and most of the remainder were soon bought back by his wife Isabel and destroyed, ostensibly because she thought the book might damage his career’. Books from the Crewe Collection are currently on display in the Wren Library during public opening hours. The manuscript of Appendix IV is in the papers of Lord Houghton at Trinity College. It is not in Burton’s handwriting. I suspect that Monckton Milnes (Lord Houghton) helped Burton with the Latin.